Today, in anticipation of the 2011 NACCM conference, we'd like to share with you this new whitepaper from NACCM partners GfK Custom Research North America, "The Generational Effect." From Traditionals through to Generation Y, is there a ‘generational effect’ when it comes to customer loyalty and satisfaction? This paper explores the concept of generation and the extent to which various generations are both similar and different in their degree of loyalty, and the drivers of loyalty to companies in the various sectors. GfK compares key loyalty metrics from their benchmark surveys in the banking, automotive, credit card and cell phone sectors to reveal insights associated with this conjecture. Want to hear more from GfK? Join us at NACCM for the session "Become a Leader in Customer Loyalty: Customer Loyalty and Experiences across the Generations on Tuesday, November 15th, 2011. Drawing upon GfK Customer Loyalty cross-industry benchmark surveys, this session compares the generations in terms of the delighters that drive customer loyalty and dissatisfiers that drive customers crazy and lead to defection. Explore the similarities and differences between generational cohorts, such as Millenials (GenX) and GenYers, Boomers, Traditionals and emerging Gen Z. To learn more, download the brochure. In this new series of posts, we are joined by guest blogger Curt Carlson, Senior Vice President, Customer Experience Management – TNS North America. Curt is in the TNS North America Customer Experience Management (CXM) Area of Expertise. In this role, he is responsible for supporting strategy development and Customer Experience – related business, which includes Customer Loyalty, Employee Engagement and Corporate Reputation. In the 20+ years that Curt has spent in Customer Experience-related research, he has also held senior positions at Walker Information, J.D. Power and Associates, and Ipsos Loyalty. Curt received his B.S. in Psychology from the University of Iowa, and his M.A. and Ph.D. (Experimental Psychology) from Kent State University. Curt has also presented at many US and International conferences and workshops including those sponsored by The Conference Board and EFQM, as well as by numerous clients. He is also a member of the Customer Experience Professionals Association (CXPA). Hi. 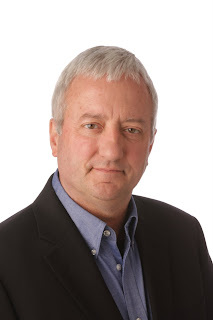 I’m Curt Carlson and welcome to my blog, which will lead up to the NACCM conference. It is my hope that this will stimulate some ideas that you can discuss with others at the meeting. Why am I doing this? I love the customer experience arena. After over 20 years of helping some of the greatest companies in the world with their customer experience programs, I like to think of the good we as practitioners bring: customers have a better experience, clients make more profit, as does my employer, and I earn a living. So what’s the problem…if there is one? Customer Experience Management (CXM) isn’t working for most companies today. Every company will eventually begin to notice a lack of improvement in customer experience performance metrics that goes on and on. Moreover, they also see few if any strategic insights coming from a program that touches most of their customers and costs six or seven figures. Why? Let’s start with the flat-line problem. We’ve seen this in all sectors…Tech, Telecom, Financial Services, Retail, to name a few. Everyone’s head nods in agreement when I bring this up in front of large audiences. The critical business issues are that over time, customer experience management programs 1) do not inform change management, and 2) do not contribute to profitable growth. The scary thing for both suppliers and clients is that eventually their relationship will end because of these issues. And like a divorce, it is painful and expensive for both sides. The good news is that the problem lies not with the programs, but with us. Practitioners, both client side and supplier side, have a bad case of tunnel vision. Over the next three blogs, I’ll be talking about these programs in more comprehensive (I refuse to say “holistic”) ways. These wider perspectives will begin to reveal how companies can unlock the inherent tactical and strategic value of their CXM programs. Join this community…Share your stories about how your customer experience programs have worked for you over time in the comments. If you enjoyed this post, meet Curt next week, Oct 3rd to 5th, at the Total Customer Experience Leaders Summit in Arizona, or join TNS this November at NACCM for a session on Best-in-class Customer Experience Management. Four years ago Linkage Strategies 2007 wowed the audience with Billy Beane, General Manager of the Oakland A's and subject of the best-selling book, "Moneyball". Fast forward four years and Billy Beane's story is reaching a national audience through the much anticipated film, Moneyball starring Brad Pitt. 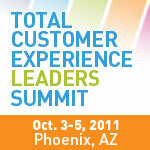 What will the 2011 Total Customer Experience Leaders Summit contribute to the future? The Experience Economy Joe Pine, Author of The Experience Economy & Infinite Possibility will show how to create economic value from the experiences you create for your customers, featuring examples from many industries that go beyond goods and services to staging economic experiences. Customer Centric Culture Find out why creating a customer centric culture is essential for businesses of all sizes today. John M. Cushman, VP of Business Marketing at AT&T will share tips on blending people processes and new technologies like social media, to improve B2B customer experiences. Become a Beloved & Prosperous Company Join Jeanne Bliss, President of CustomerBliss and Author, Chief Customer Officer and I Love You More than My Dog: Five Decisions that Drive Extreme Customer Loyalty in Good Times and Bad, will help you discover the five common decisions that the most beloved companies make and put into process that makes them immune to the competition. Drive Action in a B2B Environment Tim Berry, Director, Customer & Partner Experience, US - Enterprise & Partner Group, Microsoft will focus on creating and end to end process that can be used as a foundation for incorporating customer satisfaction metrics into the accountabilities for your front line customer facing resources. The Total Customer Experience Leaders Summit will enable you to effectively measure, align and communicate your customer strategy to ensure business relevance. Download the brochure for the full agenda. P.S. Participate in the TCEL Trivia Contest for your chance to win a copy of The Hidden Power of Your Customers by Becky Carroll, President & Founder, Petra Consulting Group. Click here for more information. Today we’re featuring a guest post by Total Customer Experience Leaders Summit speaker Becky Carroll, author of The Hidden Power of Your Customers. This post was originally on Customers ROCK! Who is your customer experience competition? Those of you only looking inside your own industry need to take a look around, as your competitors are not who you think they are – especially online. Organizations should be asking this question: Which companies have the best practices in customer focus across all industries? I got a new computer recently and needed to order some accessories. Around this same time, I needed some shoes and books. I placed orders with Zappos, Amazon, Apple, and a designer’s shop, Jonathan Adler. Of course, the three big guys sent me order acknowledgment and tracking info all through the process. I got an order notification from (ordered a laptop sleeve) Jonathan Adler, then nothing, so a few days after I placed the order, I sent an email asking if my order had shipped. Later the next day I got an email from a customer service rep explaining that they did receive my order and that “my colleague is trying to find your bag at one of their stores.” Once it ships, I would get a shipping notification. That was two days ago. And, I noticed they have already charged my credit card. So my question is this – are my customer service expectations skewed because I have dealt with some big companies that have solid customer service and shipping systems in place? (Note: Zappos had the best and most prompt services of the three big companies, of course.) Jonathan Adler is a smaller brand, but a high-end one and kind of trendy right now, so is it fair for me to set the same expectations on them? My expectations have clearly been shaped by the immediacy which other retailers respond & deliver. Is that fair? As customers, we never had this kind of relationship before. We used to get out the catalog, fill out the form, put a check in the envelope and wait. Yes, Deb, customer expectations are absolutely set based on our experiences with companies such as Zappos and Amazon. In fact, every interaction we have with a company sets our expectation for the next interaction, whether with that business or with another completely different organization. Additionally, the online experiences that customers have with companies, whether on the company website or via social media, are creating a higher degree of visibility. In social media, this becomes even more important as the social customer’s friends and followers are also watching, and sometimes sharing the experience with their network (unfortunately, this is more often the case when the experience has been poor). The three areas listed above may change in priority based on who your customer is, what kind of relationship they have had with your organization, and, as mentioned by Deb, what types of interactions they have had with your company and with others. Do you know what your customers want from you? What can you do tomorrow to improve the experience your customers are having with your company? 1. Ask your customers. Really – go ask them! Find out what they expect from you, what you are doing well, and what you need to improve. Your customers will probably be happy to tell you, and they will also be glad you asked. 2. Look in the mirror. When is the last time you or someone from your organization called into your customer service line? Ordered something from your website? Tried to get help via your social media channels? Find out what it feels like to be your customer; I encourage you to look for both areas of improvement as well as your own best practices to share with your organization. 3. Look at the competition – from your customer’s perspective. Understand who is competing with you for the best customer experience, keeping in mind that it may not be anyone within your industry. A world-class customer experience doesn’t happen by accident. It takes a plan that can be executed across all aspects of your organization. Your customer experience strategy should facilitate consistent treatment of customers, cultivate customer trust, and enable meaningful interactions at all points of customer contact. Most importantly, it should meet and exceed customer expectations. Now you have a customer experience that will ignite passion, inspire brand loyalty, and cement relationships. Want to hear more from Becky? Join us at the Total Customer Experience Leader’s Summit, for her session “Linking Social Media to Customer Behavior” during the Social Media CRM Symposium. Register here. 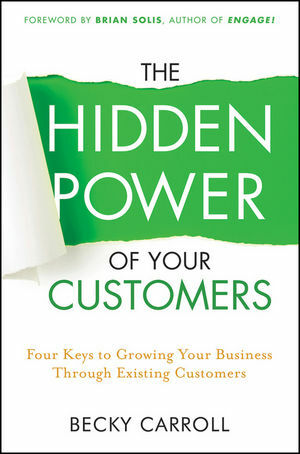 Plus, we’ve got an autographed copy of Becky’s new book “The Hidden Power of Your Customers” to give away to one lucky blog reader. To enter, answer the following trivia question in the comments along with a valid email address. Or tweet the answer using hashtag #TCEL. We’ll be randomly choosing a winner from all correct answers, make sure to answer by 9am EST on Friday, Sept. 23rd to be eligible. Q. Name three of the companies that are speaking at the event (hint: you can find the answers in our downloadable brochure). A dissatisfied consumer will tell between 9 and 15 people about his/her experience, and a happy customer will tell about 4 to 6 people? It's very clear that your customers are talking - about the good AND the bad. At NACCM: the North American Conference on Customer Management, your PEERS will be talking - about the good AND the bad. Engage face-to-face with hundreds of customer-centric business leaders as they exchange stories of successes, failures and the road to recovery. Download the full brochure to learn why NACCM is a MUST ATTEND event this year. Our customers are talking too! Click here to see what past NACCM attendees have to say about their experiences. It's time to refocus and rebuild. Lead the customer-centric business management strategy at your organization. Readers of the Customer's 1st blog can save 15% off the standard registration rate with code NACCMBlog. Register here. We look forward to welcoming you this November 14-16 at Disney’s Contemporary Resort in Orlando.